In the days of globalization speaking and writing good English is a must, not only for chemists. That good English stands the test of time can be proved by this longselling title! 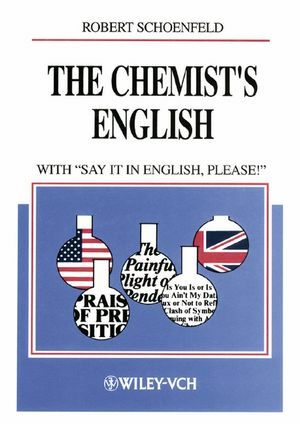 Robert Schoenfeld is the author of The Chemist's English: with "Say It in English, Please! ", 3rd, Revised Edition , published by Wiley. 6 Amazing Revelations: English Scientists Secretly Practise German Vice! 8 Tetravalency of Carbon Disproved! 21 Brevity = Soul of Wit? 24 Is You Is or Is You Aint My Data? 33 How Good is Your English? How Good is English? 36 Say It in English, Please!